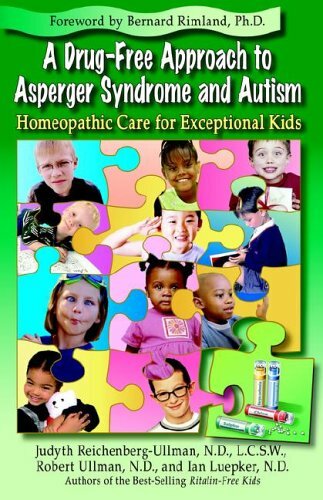 Authors recommend homeopathic medicine for children on the autism spectrum rather than the use of conventional drugs. Includes seventeen actual cases drawn from the authors' clinical experience treating a wide range of children with developmental, behavioral and learning challenges. Also included is information on the characteristics of children with Asperger syndrome and autism, other natural approaches, advice and resources for parents, as well as answers to frequently asked questions about autism and homeopathic medicine.